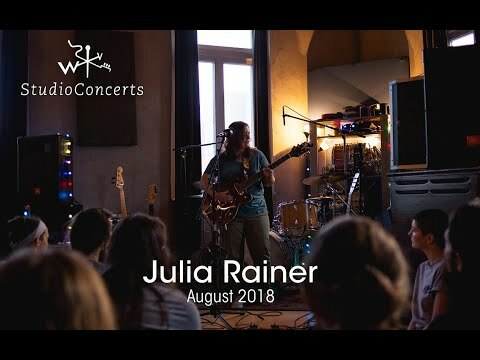 Remix and Event Access Members can access the raw audio multitracks from one of the songs performed at this concert to download, remix, and share back with the Weathervane Commmunity in the comments section below. This download is available to Monthly members and up. Weathervane Music just started its 10th year and we simply can’t believe it! While there’s a lot to look forward to, we’re also digging into old hard drives and finding some really great stuff to share with you all! Since 2011 we’ve recorded some 15 or so Studio Concerts and we’ll be releasing a lot of those for the first time. Anyone can watch the videos and download the audio from the concert, and Remix Members can access to the multitracks from the shows to download, mix and share their work back on the site. Thanks for being a part of the Weathervane Community over the past decade, we hope you enjoy these Studio Concerts and contiue to support our work going forward. Weathervane hosts intimate studio concerts at Miner Street Recordings in Philadelphia that feature past and future Shaking Through artists and other local musicians. We also hold residencies and curate shows at local Philadelphia music venues. These shows are another opportunity for us to highlight artists we think have an important message to share through their music, and to get people together in the same room who think supporting, engaging with, and creating music is an invaluable part of our culture. Event Access Members can attend every Shaking Through Wrap Party, Weathervane Recording Workshop, and Private Studio Concert we have each year as part of their membership.